We’ve all heard of CRB and DBS checks – they’re ubiquitous terms in the childcare sector. But what do they really mean and how should they be used? This article will take a look at what CRB/DBS checks are, how babysitters can get one, their strengths and limitations and more importantly, the additional steps parents can take to ensure that their kids are in safe hands. DBS checks primarily exist to allow employers to screen prospective employees. They are also referenced in respect to roles where people work with children and vulnerable adults – such as schools and care homes etc. Here, DBS checks are, in theory, one effective tool to ensuring children are in a safe and protected environment. What is the difference between a DBS and CRB check? Nothing. The Criminal Records Bureau (CRB) became the Disclosure and Barring Service (DBS) in late 2012, hence the name-change of the checks. So, if one sitter has had a CRB check, it will be the same as one that has had a DBS check – although it does indicate that the CRB Certificate hasn’t been updated in 5 years. How can a babysitter get a DBS check? Although it’s not possible to request a DBS check on yourself, you can apply for a ‘Basic Disclosure Certificate’. Basic Disclosure Certificates show any unspent convictions that you may have in the UK. So, although they are in no way as sophisticated as a DBS check, they do hold some merit, and at least show that you have taken some steps to prove your credibility. They cost £25 and take approx. 14 days – you do not have to be from Scotland to do this. One way for you to get an Enhanced/DBS Barred List check is to go to an agency. Childminding/nanny agencies will carry out a DBS request on your behalf – but prices will vary from place to place, so be sure to research and find the best prices in your area. Do nanny and babysitting agencies only employ people with DBS checks? The answer is no. Some do, but many do not – it’s not always a pre-requisite. Sure, DBS Certificates are a great way of checking somebody’s criminal record. But what happens if they break the law the day after the DBS is issued? Surely the certificate reflects this? Well, no, not quite. Although a DBS check does not ‘expire’, it’s technically out-of-date from the moment of issue. And it’ll only reference crimes where – somewhat obviously – the person in question has been caught! The DBS check is therefore not a silver bullet when it comes to assessing whether the holder is a good person to look after your child. If you are presented with a DBS Certificate, the first thing to do is to a look at its issue date. If it was issued some time ago, it might be worth asking if they have a more recent certificate, or if they plan on renewing it in the near future. It’s worth noting that the DBS does offer an update service. This allows DBS holders to keep their certificate up-to-date throughout the year. The service costs £13 per year. To be eligible, you must register when applying for your DBS certificate (using your application reference number) or within 30 days of it being issued (using your Certificate number). If you received your Certificate some time ago, you will have to apply for a new DBS check, and register for the update service on registration or within the 30-day period. Can I check DBS certificates online? The DBS update service allows employers to ‘Status Check’ DBS Certificates. This check examines the validity of the Certificate, and informs the employer if any relevant information has been identified about the individual since their Certificate was last issued. You can access the DBS Status Check here. What’s the ‘oldest’ a DBS Certificate should be? There’s no right or wrong when it comes to how “old” a DBS Certificate should or shouldn’t be. Even agencies and employers who insist on their workers having a DBS check will have different ideas as to what they deem “valid” or “up-to-date”. Furthermore, a DBS check will only list offences that the individual has been caught doing – not those that they haven’t. So, while a DBS check is definitely a good tool, it is not a silver bullet. Ultimately, it’s up to parents to decide what makes them feel comfortable, as well as assessing it against other factors (including things they can find out about the child-carer or babysitter), and making a balanced decision based upon that. Our kids are the most important things in the world to us, so of course, as parents, it’s vital that we trust and have confidence in the people we ask to look after them. The DBS certificate is one check – albeit not perfect on its own – so what else can we look for when assessing our options? An oldie, but a classic. References are perfect for reaching out to other parents that have previously used a sitter. Agencies may call references while online apps and platforms like bubble have in-built rating and review systems. Both give you a picture of the experience that other parents have had with the babysitter, which of course, is hugely valuable. We find that the majority of people use babysitters that have been recommended by friends and family – you trust their opinions, and know that they’re going to give an honest review. If a babysitter is loved and trusted by someone that you love and trust, that’s a huge thumbs-up and is, unsurprisingly, a massive attraction. Now, although asking friends is one of the best ways to source good sitters, it can become somewhat tiring! For example, once you have chased your friends and got a recommendation, it’s not always guaranteed that the sitter will be available – particularly if it’s at short notice. Fortunately, that’s where bubble comes in. What checks and safeguards do we run at bubble? We pride ourselves on our approach to trust. As an app founded by parents, we understand the importance of feeling assured that our kids are being left with trusted and experienced babysitters. Every sitter that signs up to bubble undergoes a real-time identity check whilst they complete the registration process. This check is performed by a third-party provider called GBG Plc. Sitters also undergo a background check, which is run against adverse media and criminal watch lists. bubble is automatically notified if a sitter goes onto these lists, so parents can be assured that all checks are in real-time (unlike a DBS Certificate) and do not expire. The types of technology used for these checks are the ones employed by some of the world’s biggest financial institutions and marketplaces like Airbnb. Babysitters are not required to have had a DBS check to be able to sign up to the bubble app. 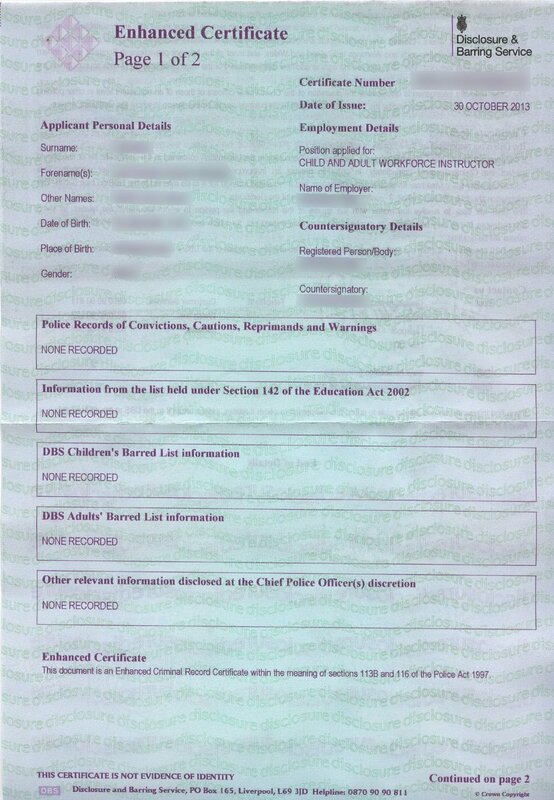 Nevertheless, approximately 75% of the babysitters on bubble do have a DBS Certificate, and their profile clearly states whether they have it or not. We do not independently verify these certificates, so we suggest to bubble parents that they simply ask to see it. Sitters do not mind being asked and are more than used to this type of request. You can read more about bubble and DBS checks here. More than any other, Babysitting is a word of mouth business and it’s easy to understand why. Friends’ recommendations are one of, if not the, most effective way of sourcing good babysitters. This is the beauty of bubble. 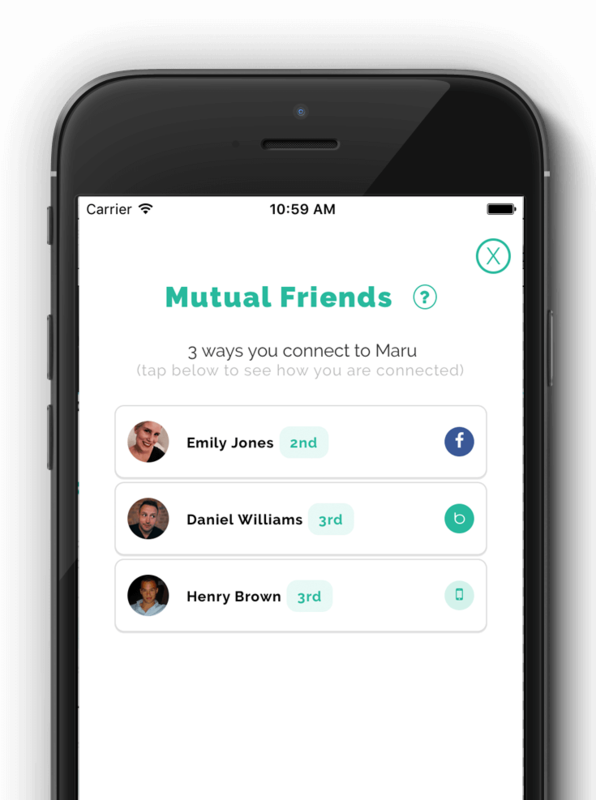 bubble shows you how you are connected to a sitter – whether it’s through Facebook mutual friends, address book contacts, or school networks. All you need to do is tap on the mutual friends button and you’ll be able to see the chain of connection. Need a vouch? Just message anyone in the chain and ask away! It’s friends’ recommendations in a few simple taps. Reviews are an essential part of modern life, and they’re even more crucial to the babysitting sector. Buying a product? We bet you check the reviews first. Going to a restaurant? We all check their ratings on Tripadvisor. Ordering a cab via an app? Again, reviews. That’s why bubble users are able to view candid reviews left by other parents. DBS checks are a report of somebody’s criminal record. You can get a DBS check here. DBS checks replaced CRB checks, they do not differ in any way. They do not expire, but are technically out-of-date on the moment of issue. They are, of course, only able to show crimes that the individual has been caught for – not those they haven’t. Recommendations from friends and family are a great way to source babysitters. bubble ID verifies and background-checks every sitter on the app. bubble taps into your trusted network to connect you to sitters. The app allows you to message anyone in the chain of connection for a personal vouch. Sitter reviews enable parents to see candid opinions left by other parents. If you have any questions about bubble, please visit our help desk or drop us an email at [email protected].